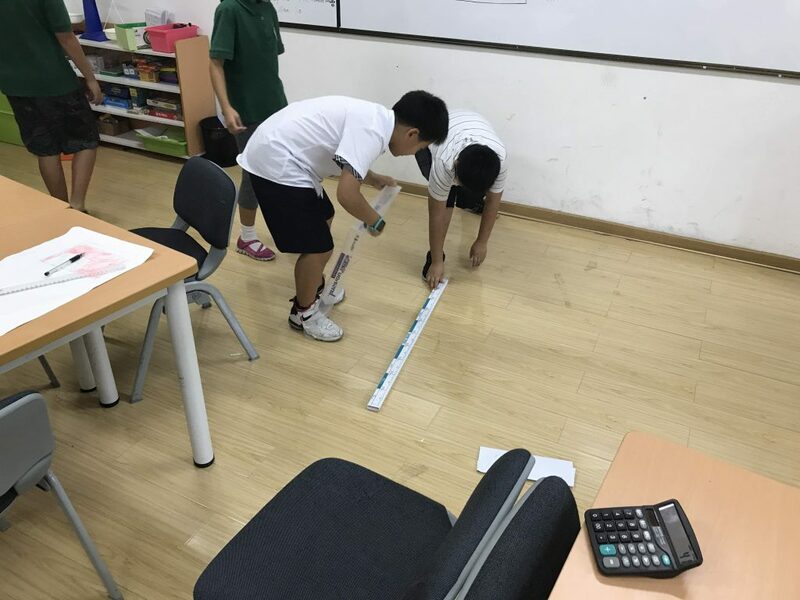 In this article you will read how a Primary Years Programme (PYP) school in China used the mathematics scope and sequence to help organize their learning spaces. At our bilingual school, students currently follow the Chinese curriculum for mathematics. Their Chinese mathematics teachers come to class one period per day to teach mathematics aligned with the national curriculum. 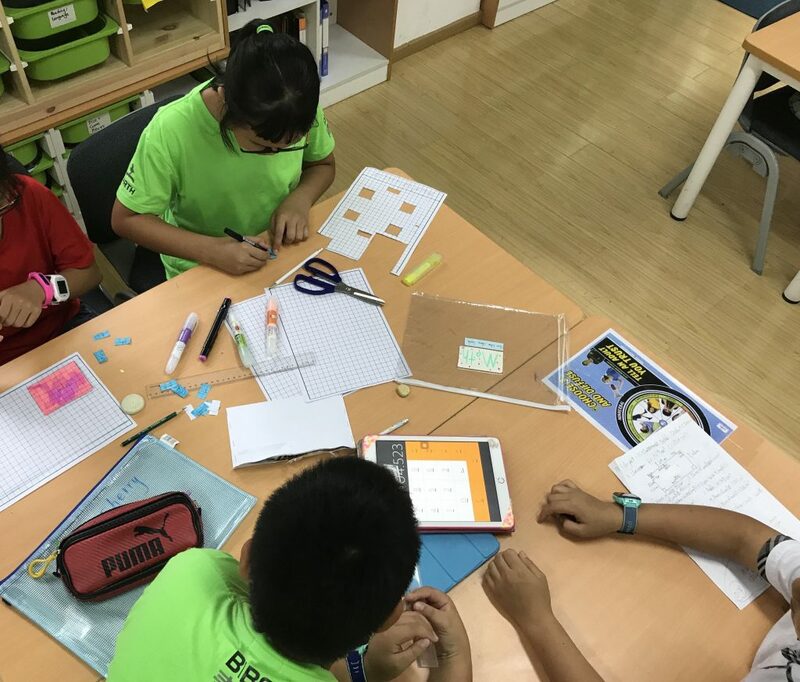 One of the biggest challenges for the PYP teachers is to integrate the IB Mathematics scope and sequence with both the Chinese mathematics scope and sequence and the units of inquiry. As a PYP candidate school, we are still working to link the Chinese mathematics curriculum with our programme of inquiry. During our unit on “how we organize ourselves”, fifth grade students were learning about decimals and measurement in their Chinese mathematics class. PYP teachers were able to link the “measurement” and “number” strands with a section of the transdisciplinary theme. 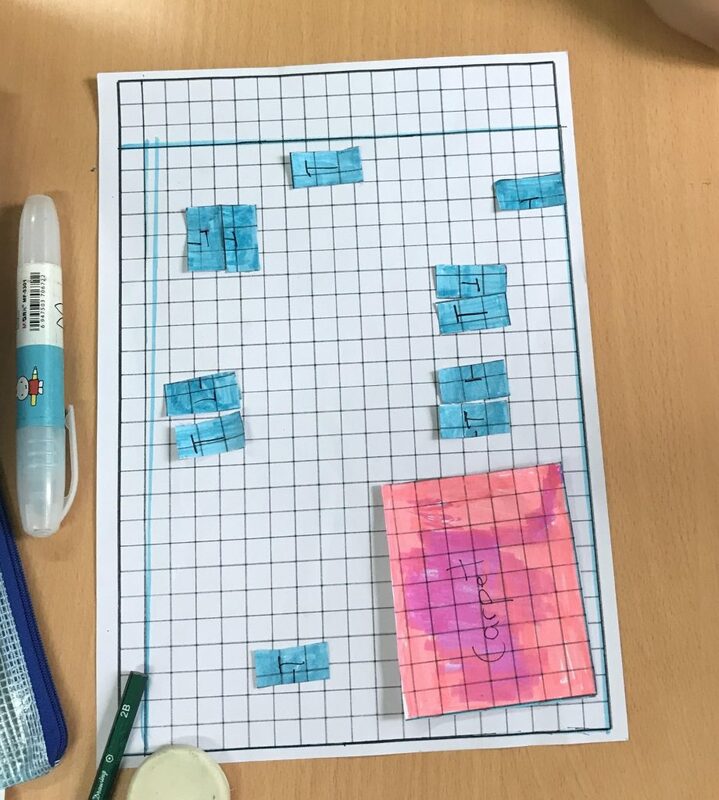 Since it was the beginning of the year, this provided a good opportunity to enable students to use mathematical operations to design a layout of their ideal classroom to scale. As PYP teachers, we wanted to support learner agency by enabling students to create their ideal learning space. First, we discussed the most effective units to use to measure the classroom—centimeters or meters? And if we use meters, how will we account for this when measuring very short distances? Students practiced converting smaller measurements to meters using decimals. Once we knew the measurements of the classroom (length and width), we then discussed designing floor plans. Some students noted that we did not know the size of the classroom furniture. We discussed whether it was necessary to have precise measurements and to which decimal place we would round when measuring. Then we began our second round of taking and recording measurements. After students measured everything in groups, they compared their measurements with the other groups. There were many variances, so there was additional discussion and re-measuring. We talked about why different people got different measurements and determined that there was not a standard that everyone was using. Some students started their measurements flush with the wall, while others stood a few centimeters away. Once students were satisfied that they had measured everything correctly, we then inquired into ensuring that our floor-plans would be accurate. Using graph paper, students represented the length of the wall to give us our scale. Students next determined how many squares wide and long each object in our classroom would be. 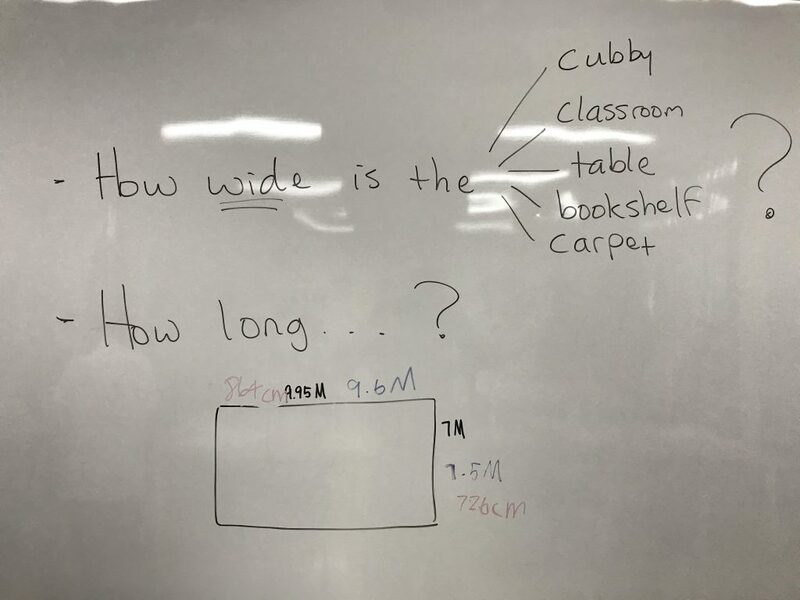 Students spent a few days calculating and drawing objects in the classroom. They cut the objects out, labelled them and tried various configurations on their graph paper to see which layout they liked best. Once students determined their ideal classroom, they presented their plan to the class for feedback. After another round of rearranging furniture on their paper, they finalized their designs. Finally, students viewed everyone’s final designs with a gallery walk. They offered feedback on what they liked about each plan and what could be improved. As a class, we discussed the question, “How do we know if a design is good?” Responses ranged from, “The design is realistic.” to “We can have tents in the classroom!” After the discussion, students chose their favorite plan and moved the furniture accordingly. 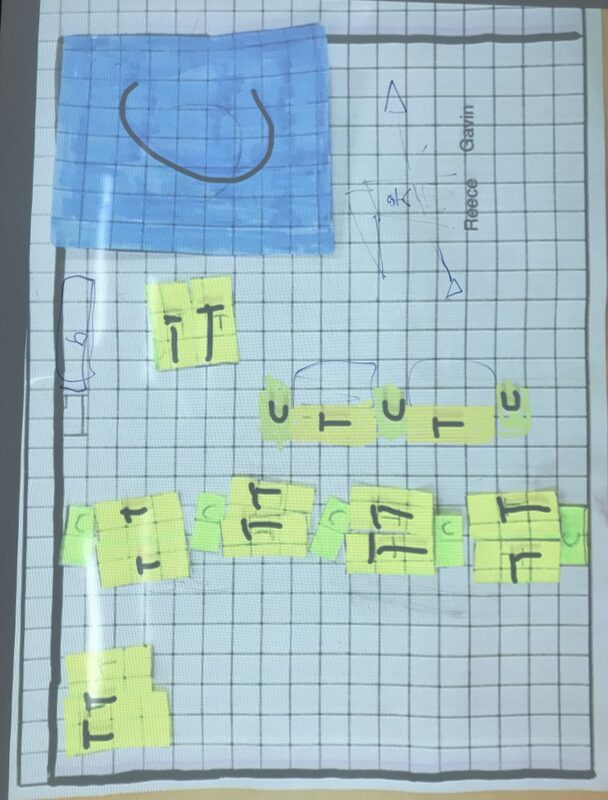 After implementing this design for two days, students were again asked for their feedback. What worked? What did not work? How can we improve the layout? They also got feedback from their teachers. We discussed how an ideal learning space allows for free movement and agreed on a slightly altered design. What we discovered in the end, was that the original classroom design was close to ideal. However, the students did make the classroom more aesthetically pleasing with regards to placement of cubbies and bookshelves. The last step of this learning process was to have students reflect. Some thoughts from the students: “I learned to work patiently.”, “I learned to work with a team.”, “I learned how to use a calculator.” Although not every mathematics unit lends itself to integration with the transdisciplinary theme so readily, I feel that this was a successful way to start the school year—affording students agency and integrating mathematics in the process. Joshua Durey, grade 5 PYP teacher at Beanstalk International Bilingual School (BIBS) in Chengdu, China. Joshua is an upper primary teacher and has taught at IB schools in China and South Korea. He joined BIBS this year as a grade 5 teacher. Outside of the classroom, Joshua is working on his second master’s degree and learning Chinese. 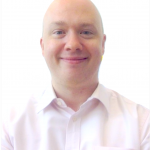 Joshua is passionate about supporting agency in students’ learning and keeping up to date on trends in educational technology. I am really impressed by the way school has adopted. We need more activities like this to create interest in Mathematics in our students at the primary stage. Thanks for sharing this info.